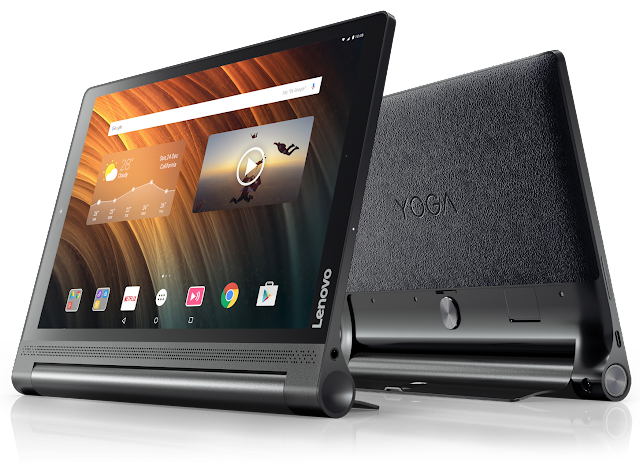 Lenovo today announced the expansion of its multimode Yoga family with the new Yoga 910 convertible laptop and Yoga Tab 3 Plus Android tablet. Today’s PC customer is constantly challenged by the demands of quickly evolving consumer lifestyles, an evolving workplace and digital demands. To meet this continuous shift of consumer expectations, Lenovo has built its latest Yoga products based on extensive user research and feedback. That’s why each new Yoga range adds new technology, like the Yoga 910 fingerprint reader that simplifies PC log-in. Yoga 910 is World’s Thinnest Intel Core i Convertible with More Power and Convenience than Ever Before - Our latest ultra thin convertible laptop at just 14.3mm is also one of the most powerful convertibles around with up to Intel’s latest 7th Gen Core i7 processor. For many Yoga users, their convertible has become the primary platform for work and entertainment. That’s why we’ve upgraded the Yoga 910 with a choice of a new 4K or Full HD screen, near edgeless display (5mm bezel) that offers 10 percent more screen area, a 14 percent increase in pixel density compared to the previous model for sharper, clearer images and 100 percent sRGB color gamut coverage for users to see a wide range of colors when viewing photos and videos. Music and sound are enhanced on the Yoga 910 with Dolby Audio™ Premium. With up to 15.5 hours of battery, users can work or watch movies without worrying about battery life. 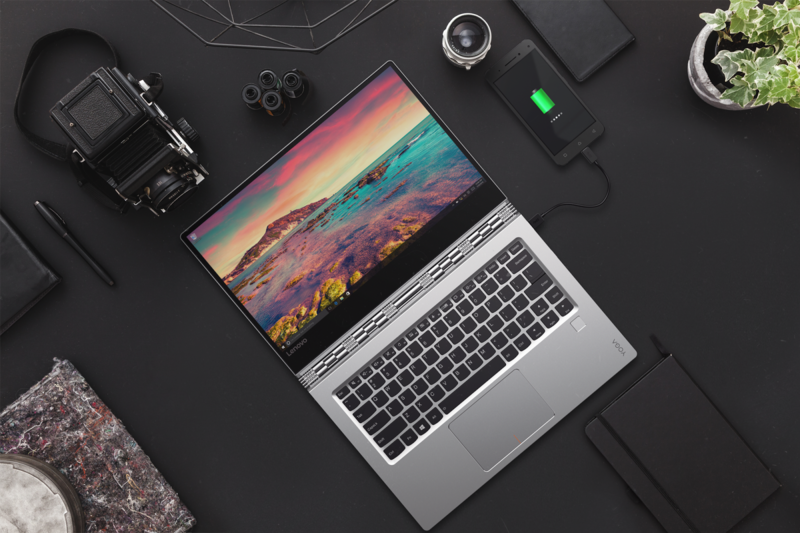 As customers demand more convenient authentication options, Lenovo has embedded an advanced fingerprint reader into the Yoga 910 – designed to bring mobile convenience and improved security to the PC. With the touch of a finger, users can quickly log onto their PC using Windows Hello™ without needing long passwords again. Lenovo App Explorer on the Yoga 910 also lets users personalize with popular apps that they want, like Skype®, Facebook® or Netflix®. As PCs are being carried around all day by users, we’ve added a new all-metal unibody casing – in Champagne Gold, Platinum Silver and Gunmetal – for a luxurious look no matter where users take it. It maintains the Yoga convertible series’ signature watchband hinge and flexible usage modes – enabling users to type in laptop mode, present in stand mode, watch videos in tent mode or browse in tablet mode. The watchband hinge now provides an even smoother, more accurate transition between its modes. Paired with the sleek Yoga mouse (sold separately) that doubles as a remote control, the Yoga 910 puts high-end performance, portability and versatility into a thin and stylish 13.9-inch convertible laptop. Discover more at www.lenovo.com/lenovolaunch and www.lenovo.com/ifa. It's a dream to visit IFA one day and I hope that it can only be fulfilled next year now!